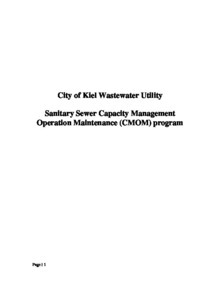 Originally built in 1965, the Kiel Wastewater Treatment Facility has been upgraded numerous times. 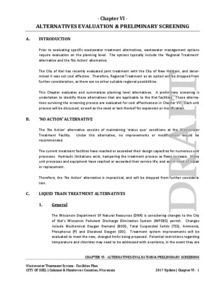 The 1979 Phase I and the 1985 Phase II upgrades resulted in the major treatment systems that are currently in use today. These upgrades were followed by smaller additions in 1996 and 1997. Aeration system upgrades in 2008 and conversion to enhanced Bio-P in 2012 resulted in the current treatment works. Consequently, there are buildings, pipes, tanks, and treatment systems that date back 50 years. Although flows and loadings have exceeded our design values on a regular basis in the past, effluent quality has been well within the permitted limits. For these reasons, it is necessary to upgrade our facility in order to increase efficiency. 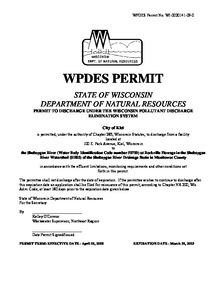 For more information, the Facility Plan has been posted below. 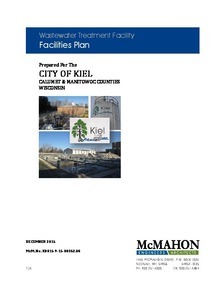 Download "- K0015-9-17-00949 F-Plan Amend #2.pdf"
Download "Facility Plan Revsed Sections.pdf"
Download "Original- Kiel, WI - WWTF Facilities Plan.pdf"